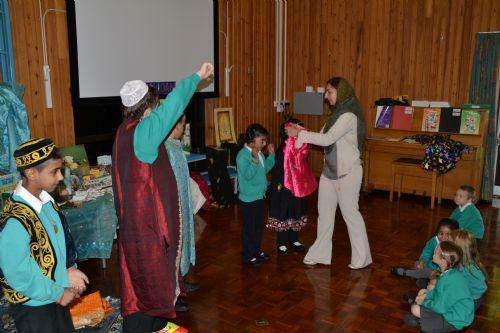 Mrs Khan came into school to take a speacial assembly to help the children understand what happens during Eid. 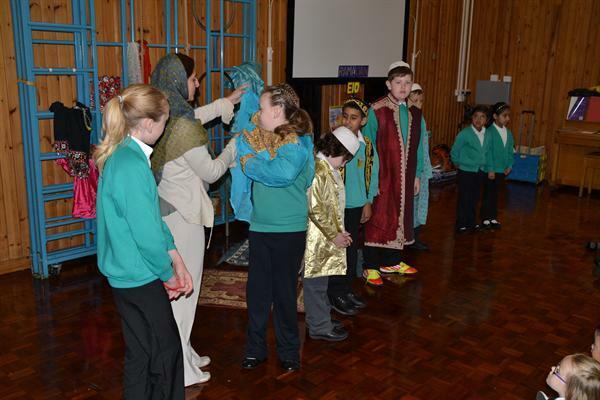 She described many of the activities and the children asked some excellent questions. 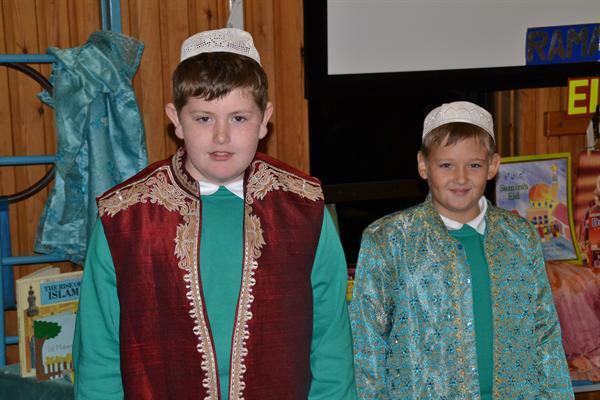 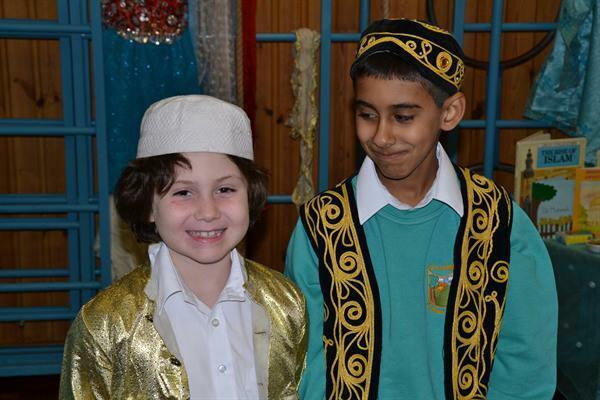 The children had the opportunity to wear some of the special clothes that Muslims would wear to celebrate Eid.